Strengthening the skills and commitment of leaders in developing collaborative approaches to identifying and dealing with complex and broad-based issues. Building relationships among diverse leaders that can lead to more effective solutions to state and local community challenges by providing them with unique opportunities to work together in ways that can truly make a difference. Inspiring leaders to a lifetime of active public engagement, acting as ongoing catalysts for addressing a range of issues that affect our state and its communities. The American Leadership Forum of Oregon seeks to develop both a sense of personal responsibility for leadership and change in the state, while creating a network of leaders with established bonds of trust and mutual support. The ALF program consists of three parts: an annual Fellows program for a class of approximately 20 community, government and business leaders; a commitment to service to provide the opportunity to work together and create outcomes as a team; and an ongoing program to build and mobilize a network of Senior Fellows (those that have completed the Fellows program) from all classes. The Community Building Week Experience, a five-day team-building program to help Fellows move beyond self-imposed limits and practice group problem-solving in the challenging environment of the Cascade Mountain wilderness. This highly experiential program provides a powerful foundation of trust and respect for working together as a mutually supportive community. The Seminar Series, an monthly offering of workshops designed to build skills and awareness in collaborative and adaptive leadership, conflict management, community-building, understanding diversity, systems thinking, and the personal dimensions of leadership. A Commitment to Service, to provide the opportunity to work together and create outcomes as a team. Graduates of the American Leadership Forum are called Senior Fellows, and use the skills and connections gained from their ALF experience to further impact their state and community. Senior Fellows events expand opportunities to continue to connect and work together on community issues, and include statewide forums, regional lunches, workshops, dinner events, and other activities. 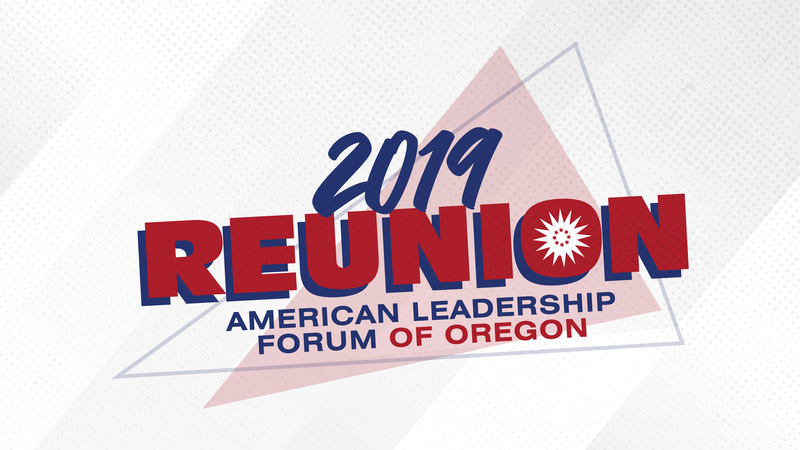 The resulting expanding network is a vital resource for both the various communities served by the American Leadership Forum of Oregon and for the Senior Fellows themselves. There are currently almost 700 Senior Fellows who have graduated from the Oregon chapter.